The idea of a window is to let the air inside a home especially during peaceful weather conditions. However, window air contains outside debris. In fact, it imperils your home with the entry of dangerous disease-carrying insects. Window screens prevent these from entering your home when you open your windows for fresh outside air. Unfortunately, window screens are worn out by long-term use. StormPros has a window repair Allen TX team trained to fully replace and install a new screen for your windows. Consult with us today FREE of charge! Window screens take as much beating as the exterior structures protecting your home. 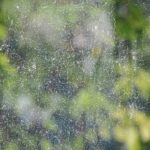 Here are simple signs indicating you need a window screen replacement as soon as possible. Window screens prevent debris, dust, and other outside sediments from entering your home. Unfortunately, dust caking happens. Homeowners can clean them regularly, but over time, some of the dust will be difficult to remove even with thorough cleaning capacities. Allow our teams to remove them for you or replace your window screens with new, better-performing ones. In case you’re using steel or aluminum meshes, regularly washing your window screens will rust the metal meshes over time. These will become brittle and weaken shortly thereafter. Steel, aluminum, fiberglass, plastic, and other window screen types have an average of 10-15 years. 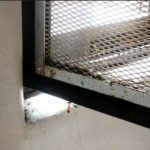 If your window screens have lived beyond their lifetime, it is time to replace them immediately. 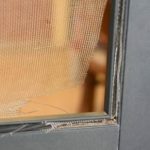 Why Trust StormPros for Your Allen TX Window Screen Replacement? 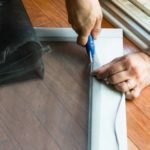 With years of experience servicing Frisco, McKinney, Dallas, and other properties in surrounding areas, we are confident in providing excellent window screen replacement services in addition to our roofing services. Our teams will arrive within the hour to inspect and service your window screen. We will inform you of the process required to achieve the best results effectively. Our well-trained teams take the necessary measures and steps to ensure we avoid any damage to your windows and surrounding properties including your siding, window frame, and other items affected by our replacement process. We never outsource our work. All our professionals undergo rigorous education in using top-shelf equipment and materials. In addition, their experience allows them to adapt existing methods to solve on-the-spot problems that arise within every project. Know more about what we can do for you by having FREE consultation for every project. Call us today at 214 227-2763 to get started!